Moving anywhere new can be an exciting event, especially if you are moving to a different city. But trying to find a lovely home in a great neighborhood can also be a bit daunting, especially if you’re relocating from another city or state. 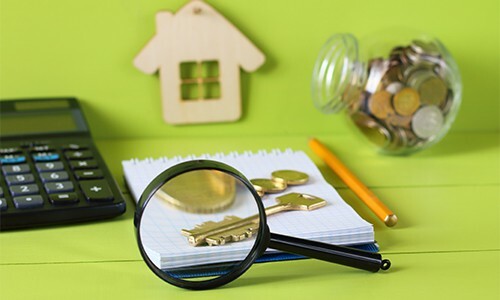 Choosing a suitable property to buy or to rent can be very unnerving indeed, but these useful tips will give you a good start in your home-search quest. Before you dive into shopping for your next home, know your credit score, how much you can afford to spend monthly on rent or a mortgage and if you plan to buy, get pre-approved by a mortgage lender to establish your spending limit when shopping for your new home. Doing your financial homework is the most important step in the housing hunting process. When looking for a new house or apartment, make a list of all the important features you want in a home: a spacious yard, an open floor plan, three bedrooms, etc. You may have to make a few compromises, so put the “must-haves” at the top of the list and the “would- like-to-haves” at the bottom. Think about whether it is the house itself or the neighborhood that matters more to you. For some people, living in a particular neighborhood takes precedence over everything else. For others, the house itself (comfortable, affordable, in good condition, etc.) is more significant than its location or the surrounding community. Two of the most important factors to consider when searching for your ideal home are type of dwelling and location, location, location! Type of dwelling - Decide on the type of residence that best suits your lifestyle, needs and preferences. Does a five bedroom, contemporary-style home suit your fancy or is a cozy bungalow more your cup of tea? If buying your home, consider both old and new homes. While it’s always nice to move into a newly-built place, you may find some upgrades (such as a backyard deck or a swimming pool, for example) installed by previous owners of older homes to be very beneficial. Assess the home’s renovation potential – decide if your desired renovations will be worth the time and expenses required for the project, how much value they will add to the home and if you can live without them. Location - Your future home should be strategically located within easy reach of certain key places in the city you’ll be visiting on a regular basis (work, school, health care centers, entertainment). Try to familiarize yourself with the road infrastructure in the area, traffic peculiarities, parking issues, and available means of public transportation to be able to assess the accessibility of your new home. Research the social, demographic and ethnic characteristics of your neighborhood of interest to ensure that the living standards complement your lifestyle and the surrounding area is safe. True Value – Older, historic neighborhoods that retain their value, decade after decade. Town and Country – Modern, master-planned neighborhoods located outside of the city, offering the best of both worlds with large, spacious homes surrounded by urban amenities and great local schools. Downtown Dwellings – Vibrant communities conveniently close to the heart of the city, where city dwellers, business professionals and fashionistas reside. Luxury Living – Luxurious homes with starting prices ranging from upper six figures to millions of dollars; some of the most expensive and exclusive neighborhoods. Urban Revival – Resurrected, diverse and eclectic neighborhoods lined with historic homes, beautiful bungalows and trendy townhomes. 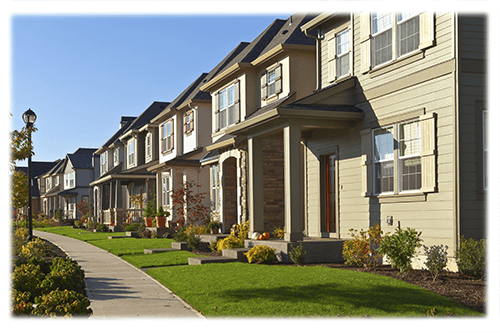 Once you decide on the type of home you’d like and whether you are going to lease or buy, start researching neighborhoods that match your criteria. The internet, of course, is the best place to start. It allows you to preview properties online before you try to arrange a visit. A lot of online listing sites like Realtor.com and Trulia.com have virtual tours, video content and other features to help you screen properties and get a quick sense of specific areas, as well as see local housing prices. Turning to social media platforms like Twitter and Facebook is another good way to widen your circle and solicit the advice of your digital friends. You might be surprised to find that an old classmate went to college in the town you are moving to or a former coworker has friends in the area you want to live in and can recommend an agent or provide information about specific neighborhoods. If you are moving because of your job, your new company may provide resources to assist you with relocation needs. Perhaps your new supervisor or a coworker may be able to offer some insight on the surrounding communities. Nevertheless, working with a real estate agent is one of the best ways to determine the options available to you in the area. The agent will be familiar with master-planned communities and other neighborhoods throughout the area, and they know about the prices and availability of the homes that you are interested in. They can help you set up appointments (if you are able to visit the area prior to your move), and offer advice about neighborhoods, schools, public transportation and other important quality-of-life details. You may have to condense your house hunting into a few days, if you are moving from another state, so make sure to mention this to real estate agents before you select one. Ask them if they have experience helping long-distance clients, and find out if they can handle the compressed pace of your housing search. 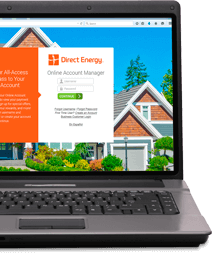 Once you find your dream home, choose Direct Energy for your electricity, natural gas and home service needs. We offer more than just lights! We provide energy plans with multiple term and rate options and usage insights to help you better understand your bill and use less energy, plus home services and protection plans to ensure your new investment is covered.